When the first puck dropped for the 2018-19 PIHL season, there were plenty of feel-good stories. 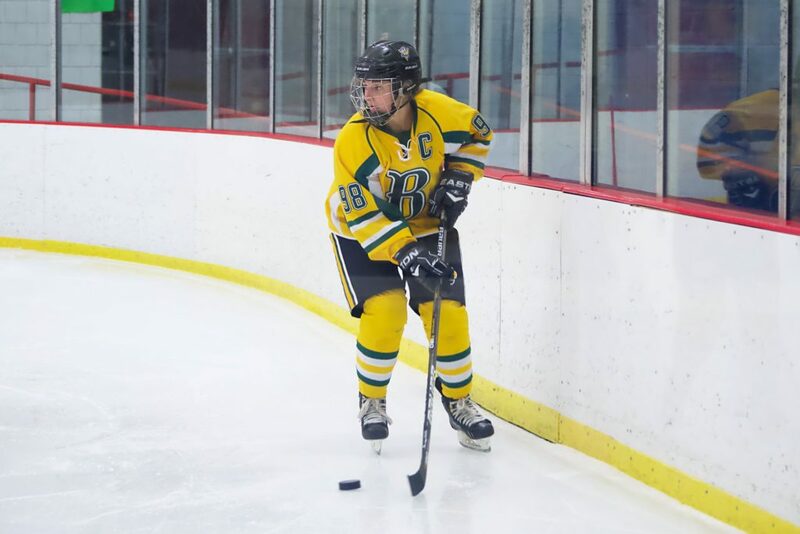 Some teams returned to the varsity level, teams departed, a new group of varsity players began to make headlines and Blackhawk named Abby Schaefer as captain. She is the only, and quite possibly the first, female varsity captain at any classification the league, although there are no records to clearly verify that statement. Last year, the league featured a pair of senior female alternate captains in Brooke McCardle (Wheeling Park) and Olivia Cindrich (Carrick). Schaefer also wore an ‘A’ for the Cougars, but had her season cut short due to an injury early in the season. Schaefer’s journey to get to the point where she was given the ‘C’ wasn’t necessarily a smooth one. Doug Schaefer, Abby’s father, also serves as the head coach of the Cougars, but Abby serving as captain wasn’t exactly his idea. It wasn’t always an easy route for Doug either, as even her selection to the on-ice leader came with some hesitation. A normal reaction would point to nepotism, something he was hoping to avoid. His coaching staff had already made the decision for him. It didn’t faze Schaefer to take on the leadership role as she’s always been considered an integral part of the team. To get to that point, she had to put in the hard work of making the adjustment to the boys’ game- one that includes full checking. She didn’t have to look very far for guidance and protection as her brother, Kyle, was a senior with the Cougars during her first year at the varsity level. Teammate Tom Ford saw her on-ice progression first-hand through the years. As she progressed through the years, she learned to adapt to the physicality, being able to take a hit- as well as dish them out- on a nightly basis. On that night in Freeport, it was the physical aspect that cost Abby her junior year. After recovery, she was more than ready to hit the ice for another run at a full season. “It is a concern of mine, that size difference,” Doug Schaefer said. “But you know when we were talking about whether she should play or not, she basically just said ‘I played my whole life and it would kind of be a waste to not play my senior year’ and I was like OK, you know you have the final say in this, and we let her go. The younger Schaefer agreed with those sentiments and sees both sides of being a girl in a checking league. “There are definitely kids that will go after me just because I’m a girl,” she said. “I get a lot of comments from boys that aren’t always allowed like sexual comments or rude comments, or it always seems that they target me.